Several Amazon sellers said foreign rivals are trying to intimidate them, and two sellers have even reported receiving death threats. Why? According to the sellers, the threats come from merchants who are trying to stop them from selling the same item. Amazon represents significant revenue for many merchants. Nevertheless, it's shocking to hear accounts of such behavior, and some sellers said they were disappointed by Amazon's response to their reports, though others said Amazon took action. In a recent discussion board thread, sellers described how rivals followed up on their threats by sabotaging their business. They do this by using accounts under their control to buy items from the targeted sellers and then leave them negative feedback and file A to Z complaints against them. Amazon takes swift action against sellers with negative metrics, which benefits remaining merchants. "Hello! ASIN: (redacted), found you r selling products through our listing. The sellers who sell through our listings, firstly we will send warnings; if it doesn't work, then we will place orders, make A-to-Z and return, or just make a complaint that you are selling fake products. We believe you have a clear idea about what will amazon do for u after that. We also insist creating our own listing and close those created by others. Please close or delete your listing (ASIN: (redacted)), Thank u!" Another seller said Amazon had done nothing to help him 2 weeks after a recent incident in which a merchant, whom he named, threatened to use its 30 other accounts to make purchases from his store in order to open A to Z claims and "destroy" his store. He said such threats from rivals have been going on for the 2 years he's been a seller on Amazon. Another seller said when they reported a similar case of intimidation, Amazon helped them and "was never bothered again." "Amazon does not tolerate abusive behavior. If a seller suspects bad actors are violating our policies, we encourage them to contact us directly so we can investigate and take appropriate action." "I had a Chinese seller threaten me over an unwanted gift I was selling as used (actually still am, it hasn't sold yet). 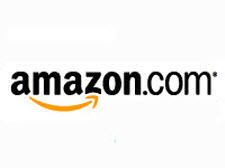 It is their brand and bought from them on Amazon by my grandmother who thought I would like it (at that point it was a new product and did not yet have the many negative reviews it does now). "I decided to sell as "used-like new" rather than tell my grandmother it seems to be a piece of junk based on most of the reviews. "After their threats to order and leave negative feedback and vague threats of violence didn't work, he sent a message saying "You think because I am in China that I can't hurt you? I have friends who will gladly slit your throat". "He is still selling on Amazon, despite me reporting the threats. I am not sure if the buyer account he uses to send the threats is not connected to his seller account or if Amazon simply doesn't care if he threatens other sellers. Even if the buyer account is not connected, he identified himself in the messages." Another seller said she received no resolution when she opened a support case last year complete with screenshots showing death threats sent to her by the seller through the Amazon messaging system, but when she posted about it in the UK seller forum, the threatening rival merchant was banned 3 days later. "It was a big seller and he's still suspended. He even sent me a screenshot of the suspension message, which he got and started spamming my e-mail with angry insults, but he's gone from Amazon." How common is intimidation from rival sellers? And for those who have experienced it, how do marketplaces handle such reports? Thats what happens when these places allow people to open up many many accounts. Most of them are ficticious accounts meant for one thing only. BLACKMAIL. But as we all know its all about the numbers.....The bottom line counts more then seller safety. No experience with threats on Amazon, but I can tell you all ebafia did was to refer me to my local police department who declined to investigate because the threat was interstate. I don't believe marketplaces take these threats seriously or care. After all who at ebafia would want to lose one of their cherished Chinese sellers? I get fake legal threats from manufacturers claiming all kinds of things. I’ve gotten a few emails claiming I’m “asin hijacking” but no real threats. What people do is, create HUNDREDS of “proprietary ASINs that are bundles of 3-4 items “ then claim you have no right to list under them. When you do - they claim your listing is fraudulent since you can’t possibly have the same kinds of items like they have in the bundle they created and get amazon to pull your listing. There are lots of dirty tricks. Amazon has plenty of its own issues! Would the kind of acts described qualify as terrorism? I was wondering if a seller being threatened could state that he/she was contacting the FBI and filing a terrorism claim against the abusive seller. Perhaps that would make the abusive seller stop the harassment. I had been reading that forum where the OP had gotten a death threat. Didn't realize it had been pulled. I hate the new format of the forum. It is so hard to get Amazon to fix something obvious, that how can we expect them to deal appropriately with things like death threats. I think that anyone that gets them, needs to keep copies of everything, including their report to Amazon and Amazon's response back, as well as any other action they take. If for some reason these people manage to at least try to carry out their threats, you have documentation and also you can prove that Amazon did nothing at all about the situation. Definitely terrorism. No one should have to live with that just because they are trying to sell something online. Some have never learned, that there is enough for everyone to share in the profits, or do Chinese sellers work under a system of having to make so much a day? These sellers should forward the messages to the FBI whether or not Amazon is too stupid to take action. And, just for laughs, to President Trump as well. He might just call the Chinese out on the pathetic embarrassment they are. I have not had any problems like this at Amazon, However on eBay I sure have. Other sellers deploy disturbing desperate measures to try to eliminate the competition. And I am not alone as these tactics have been used on other sellers as well. Most sellers , but not all, realize that eBay is the true reason sales are down...not the competition. Once again eBays guilty as charged zero tolerance policies and lack of any intelligence, artificial or human, allow for that type of behavior from sellers and buyers alike. This is what happens when we allow overseas sellers to create tons of accounts and import cheap junk in order to get control of our U.S. companies. They flood our markets with knock-offs that steal sales from our designers and manufacturers. They have become too powerful and threatening. However, they provide big bucks for Amazon and eBay so they really don't care about anything but themselves. I'm a small seller but if I ever received a death threat or someone threatened to 'slip my throat' or hurt my family, I would contact the FBI just as someone else mentioned. Those are acts of terrorism and we need to start fighting back. Seems if these threats are from sellers in China or the other countries that participate in the E-Packet Program, eliminating that program would level a part of the playing field and competition would be fairer and less lucrative for overseas sellers. Seems also to me that Amazon has totally stopped verifying sellers or even attempting to do so, at least not those located out of the States. Amazon has also become fairly lax in identifying accurately, where the items is being shipped from. In the last year I have canceled more of my personal orders than the previous ten years total, because as I get to check-out the delivery is now being displayed at 10-20 days or so. Obviously not the US based supply I thought I was ordering.